Well just about done wit this rebuild and she is sounding great!!! I will give you all an update on the fishing, the sailfish are close and it is time to start our search for the live bait. Ok make your plan to go fishing it’s getting cooler and the fishing is good !!! Well we’re getting closer to cooler weather , feeling a small change in temp. The rebuild is coming along just about done and can’t wait to be ready for the season. The fishing has been good off shore the dolphin are still coming by and October we see some of the bigger fish. The kingfish and mackerel will be along soon. I did manage to get out with some other captains to do some deep drops for swordfish, which we got several bits that seemed to be smaller fish but managed to hook one. I did hear of reports of a fish out of Bud and Mary’s over 400. 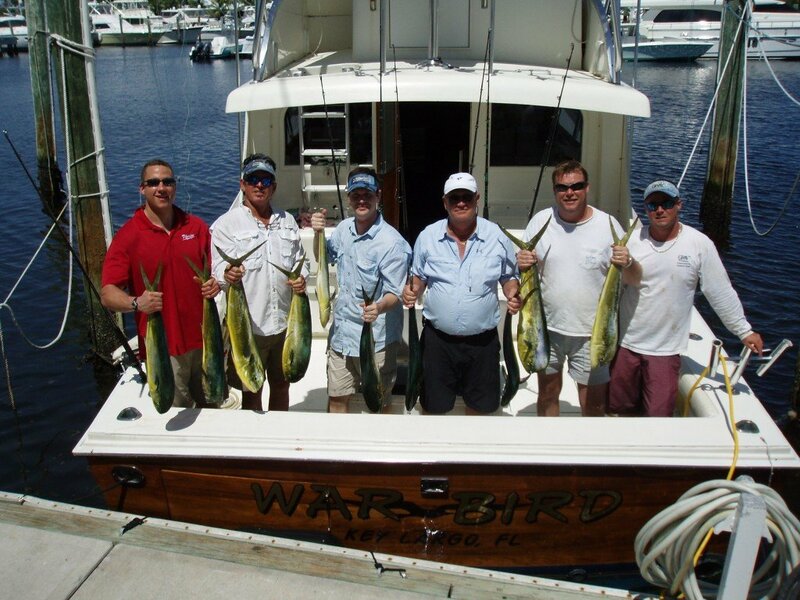 We offer some of the finest South Florida Sportfishing in the Keys. The War Bird is Located in north Key Largo, at Orvis Outfitters Ocean Reef. 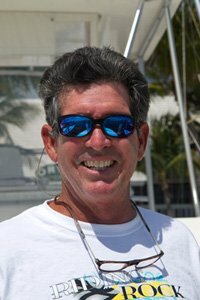 Captain Dana Banks owner operator, grew up fishing the area and would enjoy taking you out fishing. 4 Hours – This is perfect for the first-time sports fisherman and includes fishing equipment, saltwater fishing license, bait, ice, and other necessities for a successful venture. Our boat features a cabin with a restroom and can accommodate 6 passengers. Just bring your food and drinks. 5.5 (+) Hours (3/4 Day) – For more fishing areas, this sport fishing trip allows us the time to try several locations to catch fish. Our crew will even clean your catch while providing storing and cooking tips. 8 (+) Hours – Our Full Day Charter – Enjoy a full day of fishing on our 38-foot Sportfishing boat with an air-conditioned cabin and all the comforts of home for your fishing adventures. Call or visit our website to find out more about our Florida Keys Chartered Fishing Trips. The Florida Keys are one of the best places for fishing in the world. This week was a weak bite for the mahi. They were way off shore and on the small size. Down south, however they reported some schoolies and some gaffers. We have been hitting the reef for the yellowtails and a few nice muttons. The groups I had this week had no problem catching yellowtails in the afternoon. Everyone caught their dinner and then some. Good eating!! Bag limits: 6 per person per day for Monroe County and Biscayne National Park, and 12 per person per day for the rest of Florida. Possession limit – off the water: equal to the daily bag limit on the first day, and double the daily bag limit on the second day. Minimum size limit: must be larger than 3″ carapace, measured in the water. A reminder that possession and use of a measuring device is required at all times, and night diving is prohibited in Monroe County (only during the sport season). License requirements: A recreational saltwater license and a crawfish permit are needed for harvest. Minimum size limit: must be larger than 3″ carapace, measured in the water. A reminder that possession and use of a measuring device is required at all times. Prohibitions: Harvest of lobster is prohibited in John Pennekamp Coral Reef State Park during the sport season. Harvest is also prohibited during both the 2-day sport season and regular season in Everglades National Park, Dry Tortugas National Park, and no-take areas in the Florida Keys National Marine Sanctuary. Call 305-852-7717 or visit http://floridakeys.noaa.gov for information about no take areas in the Florida Keys National Marine Sanctuary. Please call the FWC Marathon office at 305-289-2320, or check online for lobster harvesting regulations for Monroe County. Recreational trapping of lobster is prohibited. Here are some of the animals whose endangered status would change under proposals that will be considered Wednesday by the Florida Fish and Wildlife Conservation Commission. New regulations for several grouper, snapper, and tilefish species in federal waters of the Atlantic Ocean take effect January 31, 2011. Closed season: from January 1 through April 31st. Closed season in Atlantic waters applies to shallow-water grouper (Gag, Black, Red, Scamp, Rock Hind, Red Hind, Coney, Grasby, Yellowfin, Yellowmouth, and Tiger). (1) In all state waters of the Gulf of Mexico, except in all waters of Monroe County, the closed season for the recreational harvest and possession of gag grouper, red grouper, black grouper, yellowfin grouper, yellowmouth grouper, rock hind, red hind or scamp shall be from February 1 through March 31, each year. 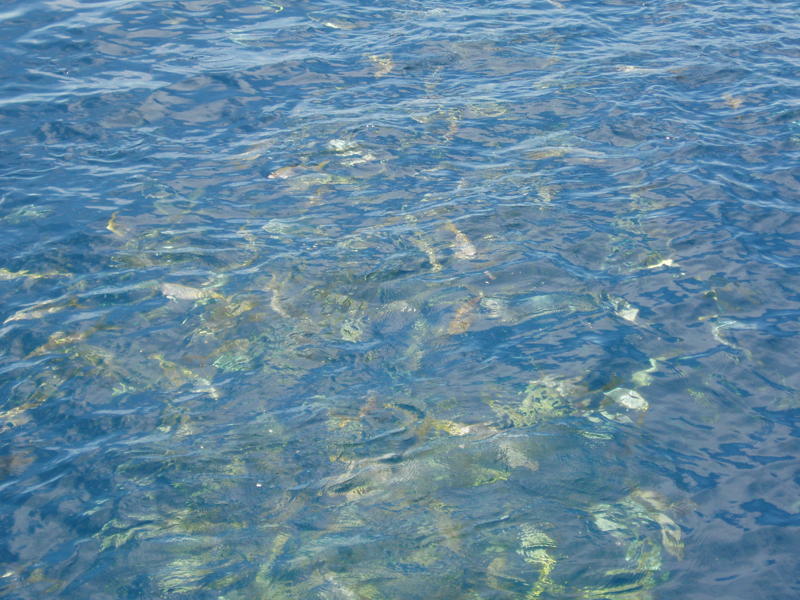 (2) In all state waters of the Atlantic Ocean, including all waters of Monroe County, the closed season for the recreational harvest and possession of gag grouper, black grouper, red grouper, yellowfin grouper, yellowmouth grouper, rock hind, red hind, scamp, coney, graysby, and tiger grouper shall be from January 1 through April 30 each year. Rulemaking Authority Art. IV, Sec. 9, Fla. Const. Law Implemented Art. IV, Sec. 9, Fla. Const. History-New 1-6-09, Amended 8-27-09, 1-19-10. I took a photographic trip this weekend to a wonderful place in Wellington, Florida call the Panther Ridge Conservation Center. This is a sanctuary for abused or abandoned exotics cats. Their goal is to provide a lifetime of superior care of these exotic felines. This place is incredible. Beautifully Landscaped, the animal cages are palatial and extremely clean. The animals are getting the best of care. You can view some of my photos below. “Panther Ridge is a non-profit conservation center in Wellington, Florida that provides a home, haven and hope for some of the world’s most majestic and endangered big cats. Judy Berens founded Panther Ridge in 1999. Today she provides a home to nearly two dozen such animals (as well as numerous barn cats and horses) — most of them rescued from threatening situations in which they had been abused, abandoned or neglected. Panther Ridge’s custom-built facilities are among the finest in the world, providing the cats with native-like habitats, protection from the elements, ample rule to roam, stimulation, and daily attention to their medical needs. Once a cat is accepted by Panther Ridge, its needs are met for the rest of its natural life; never again will it be in need of a home, or be at risk of neglect or mishandling. Such a lifetime commitment is challenging — and very costly. For example, the cats at Panther Ridge consume some 100 pounds of meat and supplements every day. Many also have chronic health problems, which require continuing veterinary care. What’s more, as the number of abandoned, neglected or abused animals continues to grow, we feel an urgent need to expand our facilities so that we can help more animals, while still maintaining our high standards. Panther Ridge also provides hope — in the form of public education concerning the challenges these animals face in the wild, the problems related to private ownership, and the programs around the world that are trying to help reestablish their populations. 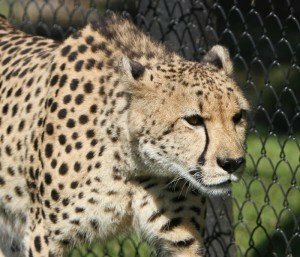 LEARN ABOUT THE BIG CATS IN PERSON! Panther Ridge is happy to provide tours to school groups, non-profits, and individuals concerned with the preservation of big cats. Tours provide a valuable opportunity to see these magnificent creatures up close, and learn about issues such as habitat loss and captive breeding. Because of the nature of our facilities and the close proximity of the cats, we can only accommodate small groups — preferably 15 or fewer. Rates for tours depend on their scope and duration. All tours must be made in advance by appointment. For further information, and to schedule a tour, call 561-795-8914 or send us an e-mail. The housing, feeding and veterinary care of exotic cats is very expensive. Panther Ridge relies entirely on donations, underwriting and corporate partnerships to help fulfill its mission. You can help by making a tax-deductible donation today. Hear more of Judy’s story in this video clip. 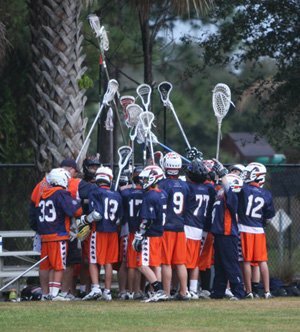 I setup a gallery of my photos for the Davie Youth Lacrosse Foundation – the Boys Senior Navy Team. I have taken thousands of photos and decided to distill the amount of photos down to the best ones I feel came out well. These photos were taken with a Canon 40D Camera using a Canon 70-200mm 2.8 L series lense. The images are very large, so I had to crop and reduce the size of the images to be displayed on the web page. Each game has between 25-40 images using a next and previous options to go through the images. I guess this is more for the Parents and the players than for anyone else, but there are some good shots. It is a tough sport that requires a combination of skills. Playing while wearing helmet, gloves, shoulder & chest protection, arm guards and any additional gear. Knowing where all the players are while moving the ball down the field to the opponents goal. I personally think the players are having a good time, even though it can be a physically challenging sport. The winter solstice on Dec. 21st, is the first day of winter, but it is also recognized as the return of light in many different cultures . Although the earth is farthest from the sun this time of year, the solstice marks the halfway point when the earth starts to tilt towards the sun and the days become longer. In the Taoist tradition this is considered the light within the darkness (yang within yin). It’s helpful to remember that even though there are times when it seems the darkness in the world is determined to envelop us, the seed of light is always present. Also, just as yin cannot exist without yang, darkness cannot exist without light. In your travels this holiday season, take note of the decorative lights as a symbolic reminder to keep the light within. The more we collectively nurture our inner light, the brighter our existence on the earth will be. We have some great activities in December and the New Year. See event listings below! Also, in this newsletter, we are highlighting some of the items in our Earth Shop. This 300 year old family owned company makes some of the highest quality incense we’ve found. All natural ingredients that have been masterfully blended for twelve generations. There are no fragrances added and the subtle scents are perfect for meditation, a spiritual corner or special observance. The number of mushroom species is currently estimated at 140,000, with only 14,000 named as a species, and known to science. Mushrooms provide a link for us with the Taoist sages of ancient China who leaned on Reishi-carved staffs and shared the same magnetic attraction to those medicinal fungi. The sages revered these herbs because they protected their health and increased their longevity. Extracts of Reishi, Shitake, Tremella and other single or combined formulas for enhancing immunity, improving respiratory functioning, enhancing endurance and stamina and other healing qualities are available. Some by special order only! Yin Qiao, Gan Mao Ling – Great first aid remedies for the initial signs & symptoms of a cold or flu such as: mild chills or no chills, low grade fever, aversion to wind, body aches, scratchy or sore throat, fatigue, headache, thirst, nasal congestion, sneezing. In Chinese medicine this is considered wind heat or wind cold invasion. God’s Playing in the Clouds is one of the most valuable practices for longevity and aging with energy. It is an advanced nei gung practice consisting of six simple movements with internal mind-body interactions and physical bio-mechanical connections that are subtle and sophisticated. This practice was the only chi gung set practiced by Grandmaster Liu Hung Chieh in his eighties. He was a lineage disciple of the founder of Wu style tai chi and teacher of Bruce Frantzis. This is a beginning and foundational class. Emphasis will be on understanding the mechanics of the movement and depending on the class experience, appropriate components of nei gung principles. One aspect of this movement is the development of foundational skills for meditative practice. No pre-requisite or prior experience is necessary. In this session, Frank will give specific guidance and instruction relative to sinking, scanning and dissolving energy for chronic conditions, traumas and severe stress. Tao Yoga is a form of Chi Gung. All chi gung forms are basically energy work for developing the power to heal. The practices taught at White Crane come from a 3000 yr. old Taoist system and are simple to learn yet sophisticated in their application. How does TAO Yoga differ from Hatha Yoga? Hatha Yoga uses postures or asanas and breath control (pranayama) to energize subtle channels (nadis). Tao yoga uses gentle movements and breath to move and balance chi. In Hatha yoga you stretch in order to relax, whereas in TAO yoga, you relax in order to stretch. You find the point that is around 70% of your physical extension or range of motion, then relax the body, mind and spirit. TAO Yoga chi gung can improve hatha or any yoga practice because the internal training tunes the body to feel how the different poses are affecting the deep physical and emotional layers. Chi Gung’s emphasis on moderation and softening give the nerves the ability to release the muscles so that the body gains the flexibility needed to get into and hold the yoga postures. Awareness of chi movement or prana energy is also increased to prevent overstretching which can lead to injuries. The goal of is to progressively incorporate all the principles of internal Chi Gung (nei gung) within each posture. This includes releasing blocked energy at points within the channels, pulsing the fluids in your joints, internal organs and spinal vertebrae; and manipulating the energy within your etheric field or aura. As always, the emphasis in Taoist practice is towards the spiritual. This series of classes will be taught in two levels for beginners and those with some experience in TAO yoga. The class will also explore healing with sound, chanting, singing bowls and tuning forks. MEET US IN THE PARK – weather permitting, for some holiday Qigong!!! NOTE: in case of rain, we’ll meet at the center as usual. Class will be held at Heritage Park on Peters Rd. in Plantation. Call us if you need directions at 954-721-7252. From all of us at White Crane, we wish you a joyous holiday and a new year full of vibrant health and good fortune! It's Summer in South Florida and we hope you are all staying cool and dry. Frank Iborra wrote a note on the summer solstice and even though it has just passed, I'm sending it because it still has relevance in the future and relates to the upcoming study group. Following also is the information for the July events. Today is the Summer Solstice which is the time when yang has reached its peak and yin begins to grow. This is considered in the Taoist tradition, the best time for people to control their vitality, so as not to over-extend themselves. The Summer Solstice is one of eight high energy days observed by the Yellow Emperor’s calendar. This system of natural energetic cycles, as observed by the Chinese people over countless generations informs and guides us in regards to agriculture, daily activities, and spiritual cultivation. The Ancients through texts such as the I Ching, teach the natural energy cycles so that our intuition and natural instincts can evolve. This is one way to live in greater harmony and connect to the deep source. Cycles, Circles, Rhythms and Chi will be the subject of this group. We’ll use Inspirational readings and life experience to share knowledge, wisdom and spiritual guidance. We’ll also discuss how to integrate this information into daily life. Frank Iborra is a state licensed and nationally certified acupuncture physician, herbalist and chi gung practitioner with over 38 yrs. experience. He will answer health questions and give practical guidance from a holistic perspective that includes diet, herbs, mind-body practices, acupuncture and energy bodywork. A simple chi gung practice will also be taught.